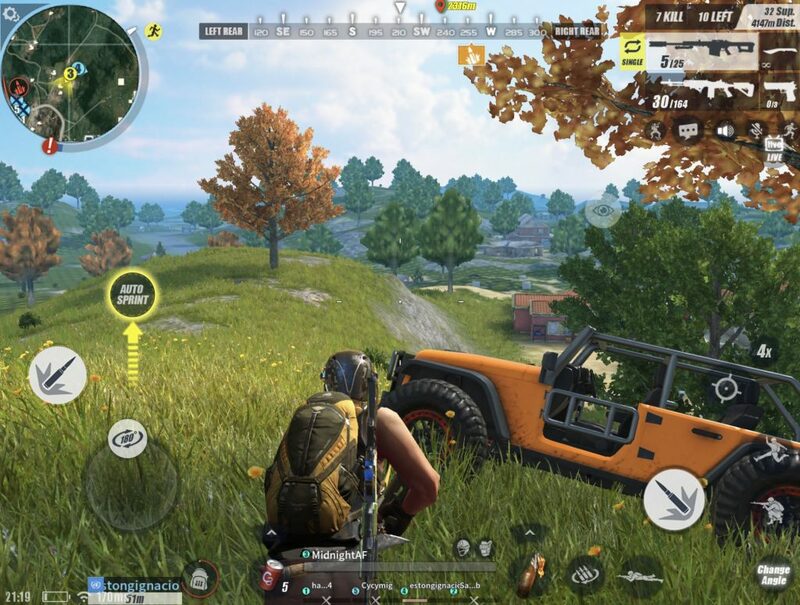 One game that we were playing for a couple of weeks is Rules Of Survival which is free-to-play. This is designed by battle royale multiplayer game developed by NetEase games. It was released before PUBG Mobile came out, and the PC version was also released later on Steam, in May 2018. After playing this game for a while, here we are with Rules of Survival Review. I played several games of Rules Of Survival with my iPad Pro. The game ran beautifully at a consistent 60FPS while having maxed out graphics, so the optimization is pretty decent. But, the graphics looked quite unsatisfactory. 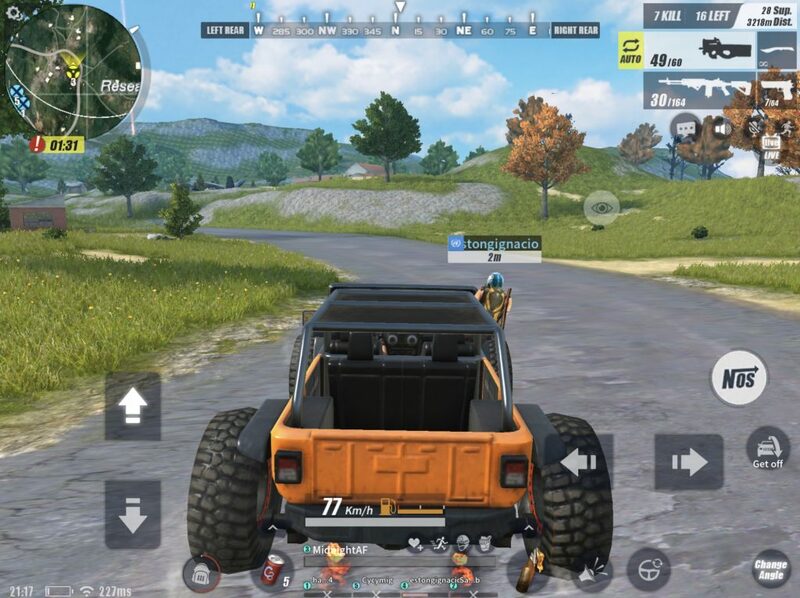 PUBG Mobile looks much better than this game, that’s for sure. Also, the net code wasn’t properly optimized – I kept getting lag spikes even though I had a pretty good connection with 150ms ping to the Asian Servers. You can play the game in five modes – Solo (1 player), Duo (2 players), Squads (4 players), and Fireteam (5 players). The basic gameplay is the same as other battle royale titles – you jump out of a plane and eliminate other players/teams while moving to the safe zone, and be the last one standing to win the game. 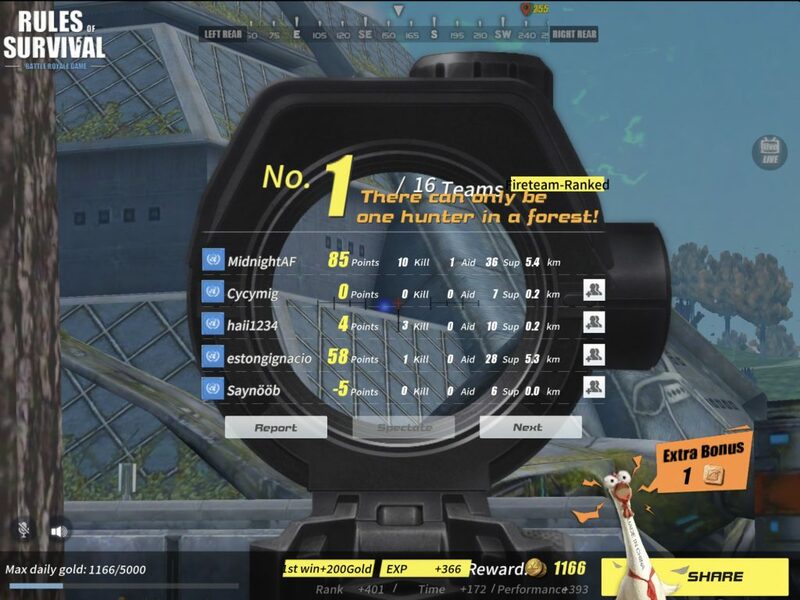 When you do win, the game calls you No.1 and gives the message – ‘There can only be one hunter in a forest!’ while playing chicken themed music. 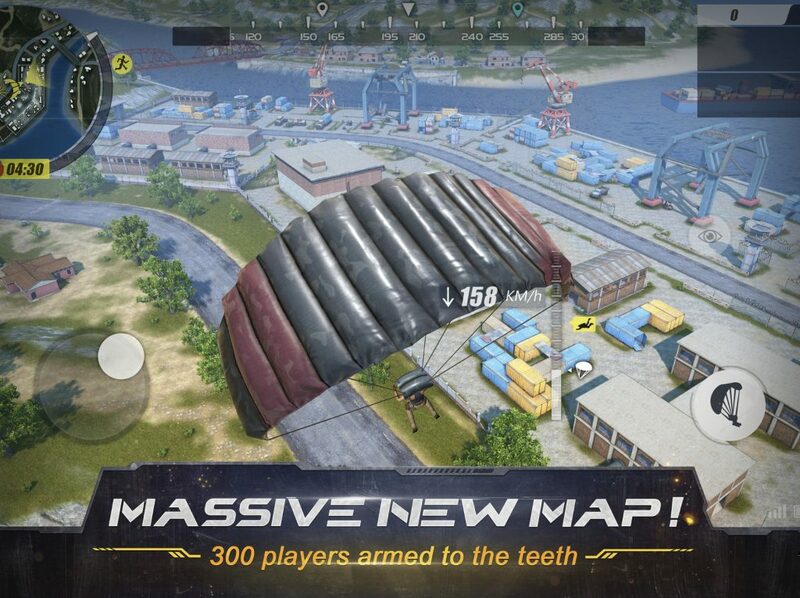 The game has two maps – Ghillie Island which is a 4.8km x 4.8km large map with up to 120 players and Fearless Fiord which almost doubles with an 8km x 8km size with up to 300 players. Yep, battle-royale with 300 players. It sounds really fun, but the ‘surprise factor’ is increased, making the game more ‘random’ compared to the normal modes. Aiming in this game felt really casual but in a bad way. Inconsistent aim assists made it even worse. There’s a first-person mode too, but I needed to download an FPS Mode for that functionality. Driving mechanics had a similar story – while it seemed really fun firstly, things like turning & boosting with nitrous seemed clunky. But yes, there are some fun vehicles in the game like sedans and monster trucks that make it more joyful. Since the game is free-to-play, they earn through microtransactions. And as expected, the game is totally filled with them. You can customize your character, weapons and even vehicles with fun looking skins. The game has a ton of bundles and promotions that can be purchased with in-game currency. Rules Of Survival just felt more unoptimized and uncomfortable to play, compared to more prominent titles like PUBG and Fortnite. But I do agree that this casual take to the battle-royale genre might be appealing to many audiences. The game is also less demanding compared to other games. TaZ is looking to make a new esports organisation. Team Kinguin Ends?